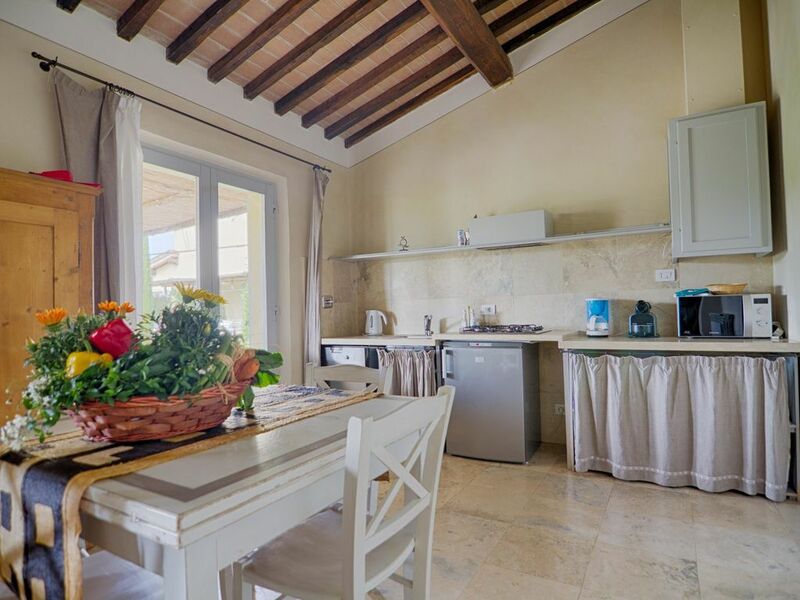 The Casetta is a 1 bedroom 1 bathroom detached cottage, comprised of a fully equipped Open Plan kitchen with stoves, electric oven, fridge, dishwasher, Nespresso coffee machine and a large living room with queen size sofa bed. The generously sized bedroom has very comfortable king size bed and the bathroom comes with a shower box. The apartment has an independent heating and air conditioning system, with LED lighting for environmental efficency. Located on the ground floor, it overlooks our Tuscan herb garden designed by the late Jonathan Radford, British landscape Archistar; a private patio sits on the front and one on the back of the apartment where guests can enjoy breakfast or lunch and have a barbecue.